As an aspiring teacher you might see yourself facing the somewhat scary future of being responsible for whether your students will love or hate your subject, and even learning in general. Surely, your success is primarily based on how well you implement a certain teaching methodology. As you are well aware though, humans are rather complicated creatures and true success depends on a complex cocktail of different factors and influences. Here are our 7 tips that will give you a better understanding of what will make you a superb teacher. Proceed with caution – a first impression is always subject to change, but quite important nonetheless. A good one will make your first days on the job considerably easier. Try not to make a show out of it but don’t appear faceless either. Establish yourself in a position that fits your personal style of teaching as well as your subject. As a true professional you should be mindful of how your students perceive you – not because of vanity but in regard to how that will reflect on the results of your work. Which brings us to..
Like any other job under the sun you are doing this to make a living, sure, but also keep in mind what is truly important – the educational process itself. Take pride in your subject, yet do not glorify it to an extent that could have a negative impact on your students’ involvement. Even if you are countered with the infamous question “Why do I even need to know this?” simply affirm that getting smarter is -never- a useless thing. Work towards attaining a good balance between getting respect and showing it. Dealing accordingly with inevitable problematic situations is actually a great way to forge both aspects of this essential trait. Approach constructively instead of defensively and do your best not to lose your temper. This could be destructive to the image you have built so far. Aggressively behaving teachers might fall into the habit of asserting a fear-based dominance but this more often than not yields a genuine despise towards both the teacher and the subject. Define a clear set of rules and consequences that is consistent with your colleagues’. Young people tend to be less and less comfortable with the idea of being “bossed around” and this might heavily impact their perception of the learning process and their involvement in it. Instead of perpetuating this idea, help them distinguish your role as a person that is teaching them according to an array of established rules, from that of a selfish enforcer of said rules. You and they alike will benefit greatly from being very clear and open about the position they have in the teacher-student relationship. The non-identical snowflakes that will be filling your classroom will require a bit of flexibility in your approach towards each one of them. What is an effective method for one student won’t prove as good for another. Knowing and working around their strengths and weaknesses is tricky and might require an additional load of work on your part. Bear in mind that it is VERY important not to appear as if you’re comparing your students based on these talents or difficulties. A calculated openness about your teaching methodology is needed so you are not seen as, well, a jerk. Nowadays it is pretty much essential to make use of modern ways of teaching that can greatly facilitate the effectiveness and rate of learning. Just be careful not to go overboard to a degree that might ruin the process by omitting good old fashioned techniques. In other words if it is not broken, don’t fix it. Surf the web for newly developed successful and engaging teaching methods (that of course do not contradict with the rules of your institution), or simply ask your more experienced colleagues for insights, especially if you have the same students. Even though you are taking your responsibilities very seriously, don’t forget to smile. This will make you way more approachable and encourage students to participate. Do not suppress a sudden burst of laughter – better get the laughs out of the system and bathe your brains in the delightful chemicals that are released as a result. A well placed (but not forced) joke binds well with our natural tendency to memorize through associations and emotions. So here are our 7 tips that will lower the chances of your students depicting you as a character from the video of Pink Floyd’s “The Wall” as you mercilessly grind them into a fine paste. 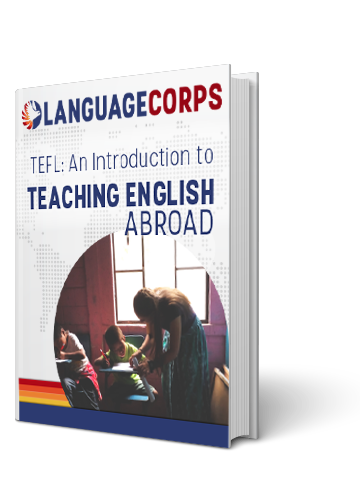 If you are considering a career as an English teacher, check out our various TEFL programs.